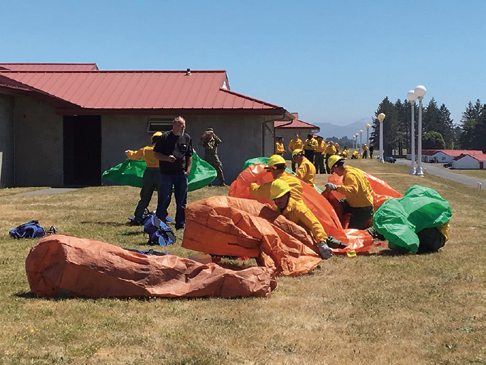 Fifty-seven airmen from the Oregon Air National Guard’s 173rd Fighter Wing based at Kingsley Field in Klamath Falls, Oregon, spent two weeks in Warrenton, Oregon, learning to assist wildland firefighters. This was the first time National Guardsmen were trained before to being tasked to support firefighting efforts in Oregon. National Guard units are tasked with supporting the state and federal governments. Smith said this can be a tricky balancing act at times. 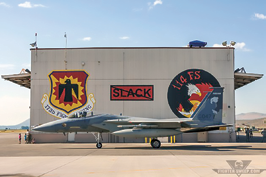 He pointed out that, last year, the 173rd Fighter Wing accomplished just this, supporting all three of its major mission sets simultaneously — deploying in support of global operations, training F-15C Eagle pilots and fighting wildfires in Oregon. Smith noted that this is the wing’s mission as well as personal. Paradigm’s SWARM + the R.A.F. 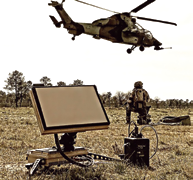 Paradigm’s ultra-portable, high throughput SWARM terminal, operating on the Inmarsat Global Xpress network, delivers seamless connectivity for RAF100 Flypast. This high-profile event was staged in July by the RAF to celebrate their 100th Birthday and involved 100 aircraft from the past 100 years flying over Buckingham Palace and the skies of London. The small, but powerful, SWARM terminal from Paradigm ensured that the media feed could rely on constant communications throughout the day in the face of high demand from the public on the terrestrial 4G network. The SWARM is small and light enough to be carried in a backpack and really easy to setup and deploy. Even a non-skilled user can set it up and be on the air in less than four minutes. Enterprise Ground Services (EGS) is an enabling technology for the U.S. Air Force’s Space Enterprise Vision (SEV). EGS enables a sustainable, resilient space architecture that can respond to threats and protect space-based assets. 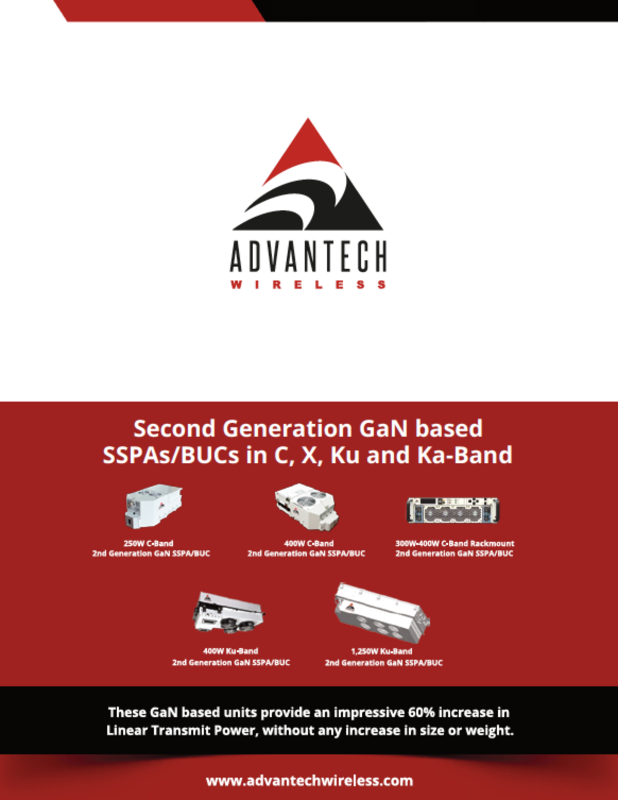 Two other SEV components focus on enhanced satellite communications and satellite manufacture. 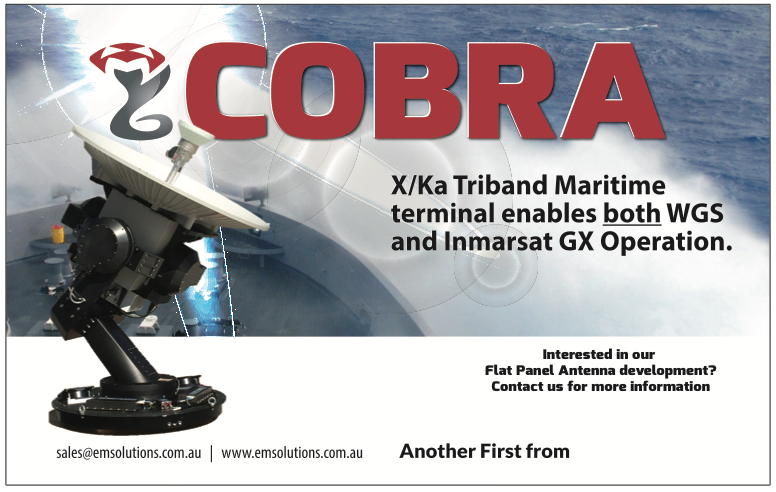 Kratos is actively involved in supporting the satellite ground and satellite communications enhancement initiatives. Fully implemented, EGS will result in a common service-based ground architecture for all U.S. Air Force spacecraft that will enable Air Force Space Command (AFSPC) to fight and win a war that extends into space. AFSPC is implementing EGS with prototyping activities to mature the concepts, technologies, EGS standards, and transition paths for legacy and future ground systems. The Kratos study for MILSATCOM is a 27 month effort that consists of four phases and is an essential step in the evolution of CCS-C to exploit the benefits of EGS. Phase I concluded last June with a successful demonstration. The final study phase will be completed in December, 2018. Larry Lind, Vice President, Kratos Federal Solutions Group explained that the biggest driver behind the development of EGS is an increasingly ominous threat environment and the speed with which those threats occur. Lind added that the transition from stovepiped ground systems to horizontally integrated architectures will optimize resources across space missions, enabling greater resiliency. Kratos’ involvement with EGS goes beyond the CCS-C/EGS interoperability study as they are actively involved in defining and redefining the standards that will make EGS a reality. The Viasat BATS-D radio bridges a critical gap between air and ground forces by providing real-time fused air/ground situational awareness to coordinate and direct forces instantaneously via machine-to-machine interface. The terminal offers warfighters at the tactical edge secure, reliable access to integrated air and ground data for improved situational awareness capabilities and enhanced close air support communications. 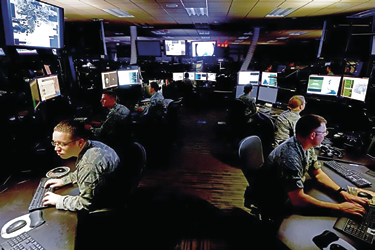 Empowered with better communications, warfighters can more rapidly engage enemy targets and reduce the risk of fratricide incidents. Ken Peterman, President, Government Systems, Viasat, said that Viasat’s AN/PRC-161 BATS-D is the world’s first and only handheld Link 16 radio and is designed to solve the military’s urgent need for a small, secure Link 16 device capable of being employed by a dismounted operator that can seamlessly interoperate between air and ground forces. With NSA authorization, Viasat can speed the time to market. The United States Defense Information Systems Agency (DISA) has officially awarded global communications company, Viasat Inc. (NASDAQ: VSAT), an eight-year, firm-fixed price contract to provide U.S. Government Senior Leader and VIP aircraft with in-flight broadband and connectivity services. The base year award value is $55.6 million. The period of performance for the base year award is Sept. 1, 2018, through Aug. 31, 2019. The base year and seven 12-month option periods have a total cumulative value of $559.8 million. Over the past two and a half years, Viasat has provided in-flight broadband and connectivity services to senior leader aircraft under the AMSS IIa contract, demonstrating the company’s satellite communication (SATCOM) capabilities. Building on the initial contract phase, and leveraging Viasat’s continuous improvement, continuous development model, this new contract enables Viasat to provide even more advanced broadband connectivity service options with expanded coverage and increased data rates, as well as enhanced security, resiliency and flexibility. Viasat’s HAN uses cutting-edge hybrid terminal technology to enable automatic and rapid in-flight network switching across Ku- and Ka-band satellite networks as well as multiple orbital regimes for optimized global roaming connectivity. 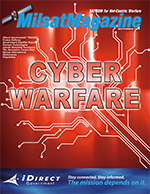 In addition, the HAN leverages Viasat’s latest innovations in layered resilience to mitigate against congestion, intentional and unintentional interference sources and rapidly evolving cyber threats in highly contested environments. The HAN is unique to Viasat, and according to the cmpany, not offered by any other service provider today. The Viasat in-flight internet service has been recognized industry-wide for delivering fast, high-quality, reliable in-flight internet service. As noted by Viasat, the service enables an elite connectivity experience with the ability to use the in-flight broadband connection to stream full-motion high-definition video for en-route Command and Control (C2) missions; to maintain two-way communications through HD video conference calling or voice over internet protocol calls; and to access real-time intelligence and other location-based, live-sensor data for critical decision-making and more.